A few months ago we did a post on sweet vermouth. 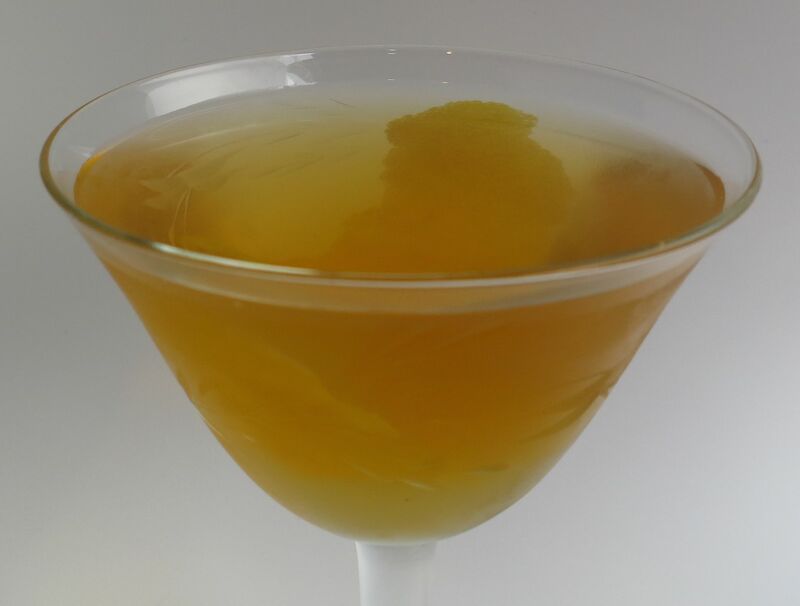 This week, we decided to do a post on dry vermouth. It is definitely a bar staple, called for in a wide range of cocktails. As with everything we have a number in the liquor cabinet, so we pulled out a few to do a taste test with each. Read on to see how much dry vermouths can vary. We currently have 7 different white vermouths in the liquor cabinet. One of them isn’t very good, so we set it aside. It is sentenced to be used in punch or some such 😉 One of them is a sweet white vermouth, so out of the ordinary and not a good choice for this lineup. That left 5, Vya Whisper Dry, Vya Extra Dry, Imbue Bittersweet, Imbue Petal & Thorn and finally the Ransom Dry Vermouth. First up, we tasted all of them side by side. Nose: Wine, ginger, cinnamon, very faint jasmine, slightly briny and tart olive smell. Little bit of lemon peel. Palate: White wine, mild lemon and ginger on the front. Herbal, lemon-y sorrel as well as cinnamon on the mid-palate. Wood barrel notes on the finish with a spirituous touch of brandy. Very dry and very light bodied overall. All the flavors are very gentle. Nose: Similar but more pronounced olive smell to the Whisper Dry. Little bit of pickle brine. Cinnamon, nutmeg and fennel seed. Palate: Brine-y olive and ginger to start. Mid-palate is fennel and caraway. Finish is very savory with nutty flavors like toasted almonds. Hint of resinous oregano on the finish when tasted in comparison to the others. Fairly light bodied though more substantial than the Whisper Dry. Nose: Muscat grape, orange blossom, mineral notes like stone or slate. Little bit of coriander and thyme. Palate: Muscat and orange blossom to start. Coriander and thyme on the mid-palate. Nice bitter bite on the finish with slate and mineral notes. Medium bodied. Bitter sweet like advertised, both sweeter and more bitter than the Vyas. Nose: Little bit of funk. Musty barrel notes, not in a bad way. Rose petal, chamomile, dried orange. Palate: Hit of sweetness to open along with hints of red fruit like cherries or raspberries. Mid-palate brings strongly bitter, very funky earthy flavor on the back of the tongue, like orris root but less perfumey. Bitter, root-y notes throughout. Sweeter and more bitter than the Imbue Bittersweet, also less spicy and more funky. Cinnamon as it warms up. Fairly substantial body, heaviest of the lot. Nose: Hard cider. Sharp apple underpinned by bright keffir lime. Little bit of bay and verbena. Floral notes. Palate: Starts off like a really sharp apple cider; tannic, acidic, apple-y. Spearmint and rosehip follow that. Fairly tart mid-palate with lemon peel and lemon verbena. Finish is dry with some bitter, astringent wood notes and a little cinnamon. Body is medium, in between the Vya and Imbue. Vanilla stands out on the finish when compared to the others. As you can see, there is a wide variance in the flavor profiles of these vermouths, which of course we love because it gives us lots of options when crafting a drink profile.Though most of them would work quite nicely on their own, we’re all about mixing drinks around here, so let’s see what we can put together. We decided the savory, nutty flavors of the Vya extra dry and the complex, apple-y flavors of the Ransom would be good to play with. 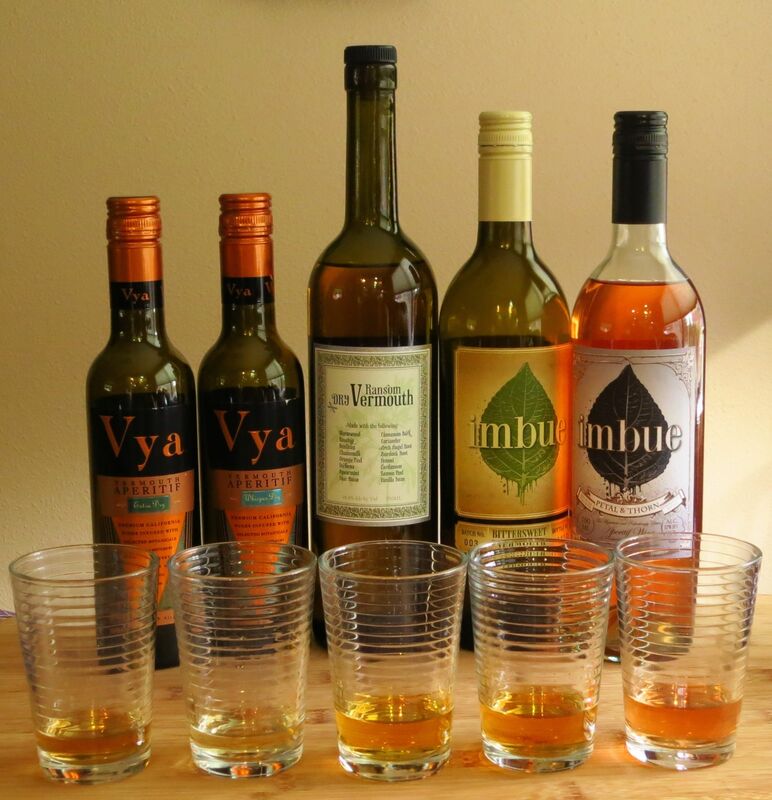 We tried the Vya with dry rum (OK) and with a robust brandy with a lot of tobacco and spice flavors (quite nice), but we weren’t delighted with anything that we put together there. Sherry and Boker’s bitters were both good additions, but we couldn’t get the balance right. We shall have to keep noodling. Stir with ice. Strain into a glass. Garnish with a lemon twist. Nose: Sweet lemon, pear, wine notes. Sharp fermented apple, thyme. Little tiny bit of rose and lavender. Palate: Starts with pear, lemon peel, a little bit of lavender. Mid-palate is all the lemony things in the vermouth – lemon peel, lemon verbena – plus hard cider tartness. Lemon curd or lemon custard on the end of the mid-palate. Finish is dry with a hint of toasted coconut and some bitterness. Lavender underpins the whole drink. Vermouth is one of those things that people think is only useful only for a martini, and even then sparingly. In our opinion, that’s a damn shame as there are some really nice vermouths out there, worth using in all sorts of ways. We suggest you try a few, and experiment with them to craft flavor profiles in your cocktails that are just to your liking. Cheers! 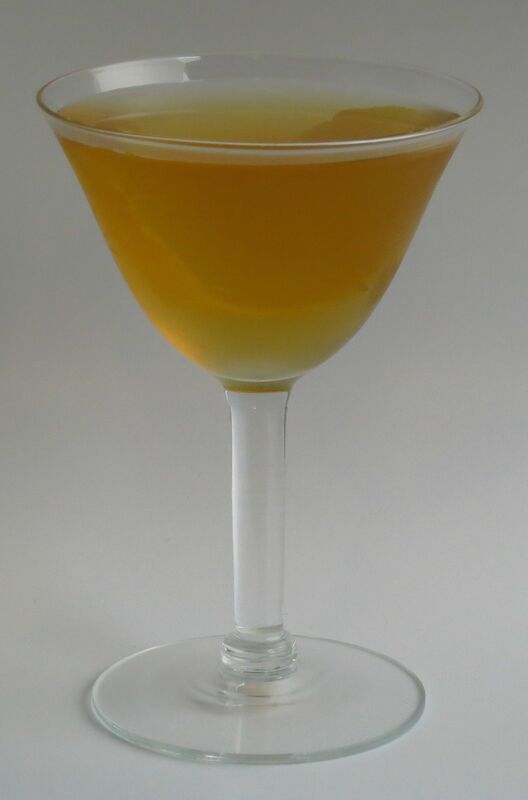 This entry was posted in dry vermouth, lavender bitters, pear eau de vie, simple syrup and tagged bud break cocktail recipe, imbue bittersweet vermouth, imbue petal and thorn vermouth, ransom dry vermouth, vya extra dry vermouth, vya whisper dry vermouth. Bookmark the permalink. I smile because three of those are produced in Oregon. Great notes on the flavor. You don’t have any Dolin? Vermouth really should be refrigerated after opening rather than stored in the liquor cabinet, and consumed relatively quickly.